Site available in English, German and French. Reviews and information on tours, repertoire, workshop and staff. Based in Madrid, Spain. Personal home page includes professional (performing) and personal photos. John Jurek's essay on his personal experience with ballet and how it's viewed by society. From March 1996 issue of M.E.N. Magazine. Personal web site dedicated to pointe dancers. 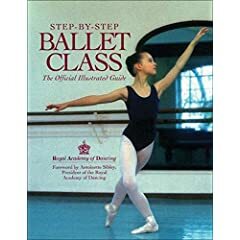 Resume of Janet Parke Preslar, ballet teacher and choreographer; choreography catalog, beginner's guide to pointe shoes. Based in Virginia Beach, Virginia. Ballet instructor with classes in ballet, pointe, jazz, modern, hip hop, and tap. Also undertakes choreography work. Site includes biography, pictures, information about the teaching center classes and instructors and information about the Philip Deal Dance Project. Performing Artist with Georgia Ballet. Professional dancers profiles, photographs, reviews, performance schedule, repertoire. Ballet home page hosted by Michelle Di Troia, graduate of the NYC School of Performing Arts. A series of original articles and links. Includes personal experiences of the author with the dancer. One of the oldest and greatest ballet companies of the world. A site devoted to the two major Russian ballet companies, Kirov and Bolshoi, presenting photos and biographies of some of the world's greatest dancers. Links to various russian ballet companies. Classical Ballet of Victor Smirnov-Golovanov. About the theatre company, repertoire, and photographs. This site is about performing arts program presented by Ardani Artists including Eifman Ballet of St. Petersburg, Red Giselle, Tchaikovsky, The Karamazovs, Requiem, My Jerusalem, Russian Hamlet, choreography by Boris Eifman, music set by Tchaikovsky, Rachmaninov, Schnittke, Bizet, Musorgsky. Sergei Danilian, the president. Past performances, pictures, dancer profiles, and reviews. Albanian principal dancer's homepage includes biography and pictures. Resume, biography and photo gallery. A look at one of America's up and coming stars of the ballet world. An interactive website designed to educate people about ballet, from the history to the technique of ballet to great performances and dancers. Featuring photo essays, commentary, QuickTime animations, and a page of reader-submitted ballet jokes, plus notes about dance photography. Provides twelve forums with live chat, audition (job) postings, questions and answers, commentaries (dance reviews), newsletter, recommendations to performing arts related music, videos, and books. Come here to improve your technique and have some fun too. Excellent advice on pointe and an active message board. Updated frequently. 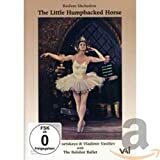 "Finally, ballet presented on television in a fresh, modern, and truly insightful manner - for ballet fans; new and old. World class dancer, Frank Augustyn brings a wealth of hands-on experience to the series, along with several other international ballet celebrities." Comprehensive website for adult ballet students: how to increase turnout and flexibility, diet for dancers, international listing of teachers of adult students, and a message board. Dance tips, book store, information on injuries, stretching, pointe shoes, and terminology. An informative site for lovers of ballet, dance and the performing arts. Australian focus. Group from Brazil for those 50 years old and older. Awards, repertoire and pictures. 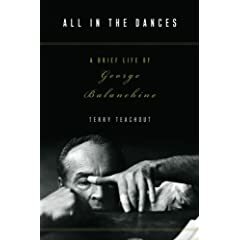 An on-line store selling rare and out-of print ballet books, programs, original photographs and autographs, from the Pavlova and Diaghilev period to now. Interesting items added frequently. Free search for any item not listed. Online magazine with news, interviews, features and postings about all things ballet and dance in the UK. An online monthly magazine covering ballet, modern dance and other forms of performance dance from around the world. Reviews, interviews, features, galleries. Devoted to classical and neoclassical ballet. News and views on ballet, ballets, and dancers. Performance calendars. Forums. Scholarly articles, reviews, and photographs. Ezine for dancers, including articles, art, chat and message boards, interviews with famous dancers, advice from teachers. Learn about dance, ballet and pointe shoes, costumes. Provides articles and links related to ballet. The homepage of the San Francisco Ballet. It includes dancer biographies, the company's repertory, and schedules. Information on the upcoming season and Quicktime videos of various ballet positions and steps. Official web site for the company, as well as the Academy of Ballet Austin. Performance details and class schedules. Training from beginner to professional level. An exciting young ballet company based in Seattle, Washington, USA. Season runs from September through June. The world-class classical ballet company founded by E. Virginia Williams in 1965. Widely acclaimed as a major cultural institution encompassing a world-class ballet company, an accredited school of dance, the Dance Theatre of Harlem School, and a national and international arts education and community outreach program. Since its founding in 1965, Oakland Ballet has been internationally noted for its meticulous recreation of significant ballets from the era of Serge Diaghilev's legendary Ballet Russes de Monte Carlo. Schedules, ticket and performance information, and artist profiles and news. Ballet Pacifica, hailed by the Los Angeles Times as "Orange County's most prominent dance troupe," features new and exciting works combining energy, innovation and elegance. The official page of America's premiere ballet company. Louisville Ballet reaches an audience of over 100,000 each year. Studio images, history, current season and recent shows, tickets and news. Ballet Memphis presents an annual touring program, with performances in communities throughout Tennessee, Mississippi, Arkansas, and Kentucky. Offering ballet from the company in the San Francisco Bay Area for dance, and performing arts. Information on the season, kid's section, and dancer biographies. Aspires to be one of America's premier arts organizations. A talented company with fiscally responsible management and community support, exposes audiences to traditional ballets by legendary masters and new works by inventive choreographers. Performs several major productions for the Rhode Island and surrounding Massachusetts community. Professional company performing in Dallas and Fort Worth. Includes news, history, ticketing, pictures and information on educational outreach programs and auditions. Ballet San Jose Silicon Valley has risen like a phoenix from the ashes of Cleveland/San Jose. Performance schedule, ticket information, classes, newsletter, online store. Nonprofit professional performance company and school in Harvard Square. Site includes company history, performance schedule, and dancer bios. Professional dance company and academy in Columbus, Ohio. Information on the company, academy, current season. Finely tuned artists who bring passion and personality to every performance. Professional ballet in Richmond, VA. Founded in 1974 by a group of Ballet enthusiasts for the purpose of presenting a playful entertaining view of traditional, classical ballet in parody form and en travesti. Founding Artistic Director Edward Villella; includes details on events, the company, press releases, school, comprehensive link listings and tickets. Repertory, artist and staff biographies, and season and touring schedules for New Jersey's foremost ballet company. Performance schedule, school, ticket and benefactor information for this 30-year old acclaimed classical company. Aspen Santa Fe Ballet, formerly called Aspen Ballet Company, is a company of eleven classically trained dancers who perform the works of some of the world's foremost choreographers. Promotes and fosters the development of classical and contemporary ballet through performances, education, and community outreach; details on dancers, appearance schedules, and tickets. Performance schedule, ticket information, and cast biographies. Ballet Idaho, led by Artistic Director Toni Pimble, presents a diverse mix of classical and contemporary work that draws national recognition and local acclaim. New York Theatre Ballet has become the nation's most widely-seen chamber ballet ensemble, offering a distinctive classical repertory which includes contemporary choreography as well as classical works by many of the greatest choreographers of this century. Asheville, North Carolina's only fully professional ballet company featuring the choreography of North Carolina Dance Theatre's founding director Salvatore Aiello and new works by former NCDT dancer Heather Maloy. Regional dance company with locations in Albany, New York, and Pittsfield, Massachusetts. Site includes schedule and audition information. Lists the company's upcoming events, news/info, dancer profiles, etc. Since 1958, New Jersey Ballet has been an integral part of the artistic and cultural landscape of New Jersey. New Jersey Ballet features dancers of international stature from the United States, Russia, Bulgaria, Japan, South America and Mongolia. It's not what you think. It's a whole new experience in dance. Honolulu's premier ballet organization specializing in original productions such as "Billy the Kid" "Frankenstein" and "Scrooge". Professional dancers offering world class performances with small town charm and teaching a wide variety of classes including ballet, tap, and jazz. Official Site for the celebrated James Sewell Ballet. The Twin Cities Ballet. Combining Modern Dance with Classic Ballet Style. Enjoy the 2000-2001 Season. Performance and instructional company. Repertoire, current season schedule, student tuition, and ticket information. Maine's premiere professional ballet company established in 1986 by former New York City Ballet dancer Linda MacArthur Miele. An international level ensemble performing new and contemporary ballets with live music on the intimate scale that intensifies an audience's experience. Designed to become a nationally recognized classical dance company with innovative choreographers from around the world, to will not only stimulate and unify the multifarious community, but also cultivate young dancers in the refined world of the arts. A New York City-based ballet company, founded in 1997 by former New York City Ballet Principal Ballerina Judith Fugate and International Guest Artist Medhi Bahiri. Professional ballet company located in Gainesville, Florida. Scheduled/upcoming events, auditions, technical rider information and company history. An internationally acclaimed contemporary ensemble based in Soho in New York City and the Adirondack Mountains. It brings to the stage an earthy and lyrical classicism fused with modern and ethnic. Something new, something old, something daring, something bold. The best of comedy and drama. The best of plot and purpose. The best of artistry and athletics. An Albuquerque based company. This site contains information on performance schedules, ticket information, classes and workshops. This professional company of twelve dynamic artists, home-based in Duluth, Minnesota, now tours internationally and throughout the country. Professional ballet company and school in the metropolitan Atlanta area. Site includes company and school information, photo galleries, and dancer and teacher bios. South Florida's premiere contemporary ballet company. The Company presents dance performances of high energy, passion and drama, pushes the boundaries of ballet and encourages multi-disciplinary collaborations. Northern Ballet Theatre, New Hampshire's only professional ballet company. Home of Northern Ballet Theatre Dance Centre. Columbia, South Carolina's premier professional ballet company. Professional dance company recognized for an eclectic repertory of modern and classical works by renowned choreographers; includes company news, details on workshops, and a performance calendar. Contemporary Ballet Company, based in San Francisco, performing internationally. Bodiography Contemporary Ballet is a performance retreat for technically proficient, passionate, versatile, and artistic dancers who celebrate the beauty of their physique. It is an ensemble dedicated the performance of contemporary ballet by bodies in their most natural form. Incorporated for the purpose of bringing ballets of the highest artistic and technical level to audiences in New York City and elsewhere. Professional classical, romantic, and neo-classical ballet in Lexington, Kentucky; includes company news, details on workshops, and a performance calendar. Watching The David Taylor Dance Theatre you will be caught up in music, dance, and visual images so powerful you will be mesmerized and never want it to end. Adam Miller Dance Project is a professional dance group based in Hartford, CT, with the goal of creating and presenting new and cutting edge work in an effort to have people view dance in a different way. Regional ballet company located in northwest Indiana. Annual production of "Nutcracker" each December. Offers repertory of classical and ballet, artist development, and educational/community outreach. Performs the work of its founder and artistic director, Leigh Witchel. Upcoming performances, repertory. Contemporary ballet company located in New York City. Profile, who's who in the company, reviews, and repertoire. SODC is a contemporary ballet ensemble which will expose a broader audience to provocative work with contemporary themes and music that will foster the appreciation of dance as an enriching art form. General information, performances, studio network, and contact information. Presents innovative performances and unique choreography that appeal to a wide audience, implementing outreach programs that make dance accessible to underserved communities, and providing low-cost, professional level dance training to young people and adults. San Francisco based repertory company. Season schedule, roster, biography of director, audition and contact information. Company offers a repertoire of classical and contemporary works, while the school specializes in classical ballet as well as offering hip hop, jazz, tap. Combining classical ballet technique, cirque training, unusual partnering, and various other dance forms, Seros creates new works on an intimate company of seven. Upstate New York's only professional repertory company. The professional ballet company of Reno, Nevada. This is the website of the Pages to Pirouettes dance troupe. We are a small ballet troupe located in the Philadelphia area and dedicated to bringing the classical story ballets to children. Premiering in 2005, this new classical dance company plans to present five ballets annually, including a new commission. Artistic directors Thordal Christensen and Colleen Neary have had distinguished ballet careers with New York City Ballet, Pacific Northwest Ballet and Royal Danish Ballet. New York State based dance company, features principal dancers along with young dancers about to enter the market. Maryland's oldest professional ballet company. Known for its "...high artistic standards and strong technique". Timeline from 1552 to 1977 plus quotes on the ballet. Bravo Network's Romeo & Juliet resources. Over 260 complete works offered in MIDI, MP3, and Windows Media audio formats, including live recordings of featured artists. Two biographies, including that from the Concise Oxford Dictionary of Music. Timelines, search engine. Wikipedia entry with life and details of his ballets, operas, symphonies, concertos, and other works, with internal references to related people and topics, and external links. Life and work of the Russian composer with MIDIs, links, gallery, poll, fan club, and recommended CDs. Recommended biographies, scores, and recordings with MIDI audio samples and further information from Classical Net's Basic Repertoire List. Filmography at Internet Movie Database (IMDb) lists movies and television programs based on or otherwise using his music. Also brief biographies and related material. Entry at the Lied and Art Songs Text Page with list of vocal works linked to lyrics, many with translations. Russian texts in Cyrillic and transliteration. Peter As A Child, The Marriage of Tchaikovsky, The True Loves of Tchaikovsky, Sugar Plum Fairies, The Death of Tchaikovsky. Biography, links, and directory of MP3 audio files made available by their performing artists from Classic Cat. Karadar Dictionary entry with life, works, catalogue, operas, portraits and other illustrations, related composers, MIDI audio samples, and libretti and song texts. Listing of major works by genre, biography, photograph, and links from the Classical Composers Database. List of works, brief biography, and links from the Classical Compsers Database. Grove Concise Dictionary of Music entry at WQXR radio with early life, education and influences, growth and development, achievements, marriage and homosexuality, and circumstances of death. Includes works list. MIDI files (freely downloadable) of the complete "Swan Lake", "The Seasons", Fugue for piano; also WMA / MP3 files. Short biography, an introduction to his key musical output, and music examples (Sugar Plum Fairy). Brief biographical sketch, caricature, summaries of operas, ballets, and fantasy overtures, and of orchestral, concerto, chamber, piano and vocal music. With Naxos discography. Brief biography, list of key works, suggested reading, timeline, quotes, additional resources, and links from Humanities Web.